Don't Settle for Less than You Truly Deserve. Ever. 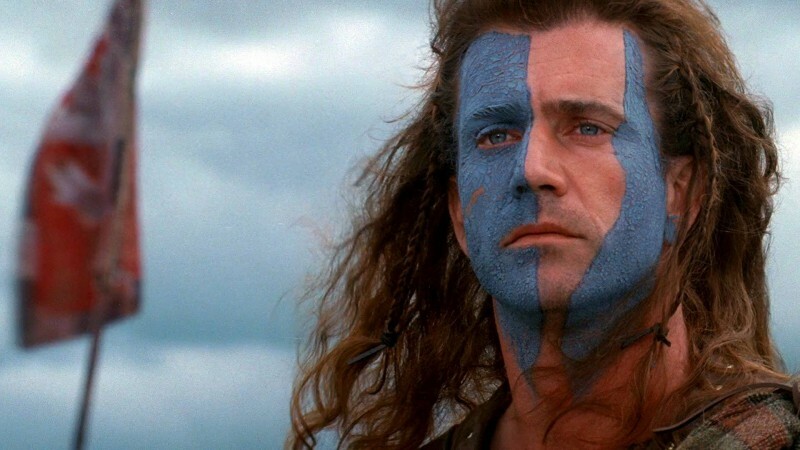 In 13th century Scotland there was a freedom fighter named William Wallace. You probably know about him because Mel Gibson portrayed him in the movie Braveheart. There has been some debate about the accuracy of the movie but one line in the movie really caught my attention. At one point in the movie the nobles ask Wallace what he’ll do next, he tells them he’ll invade England. This may just be a line from movie but the sad thing is that this is how most people live their lives, they’re content with the scraps and completely ignore their right to a better life. Whether it’s working at a job you hate, living in a place that makes you miserable or looking at yourself in the mirror and not recognizing yourself. Whether it’s a life of regret and unfulfilled dreams or too many times you’ve listened to all those doubts and fears. The bottom line is we settle instead of soaring. For 12 years of my life, this was how I lived. I believed all my doubts and fears, I made every excuse in the book. I believed all those people that told me it wasn’t possible, I believed the ones that told me I didn’t have enough education. Once I woke up like William Wallace and could finally “see it”, a major shift happened in my mind that lead to where I’m at today. I went from delivering bread at midnight for 12 years to self-publishing two ebooks that sold over 80,000 copies, the second ebook got picked up by a publisher and hit book stores this past May. I started speaking and in the last two years spoke at conferences in 12 states and 10 countries. I’m now completely supported by a location independent, freedom based online business and on April 8th of this year, our family is following a life-long dream and moving to Hawaii! I don’t know where you’re at in your life right now but I’m guessing seeing it and believing it is something that you might be dealing with right now. Life is far to short to settle. We’re not guaranteed anything and time is something we’ll never get back, so why waste it on regret? Why waste it doing things that we don’t really want to do, living a life someone else thinks we should live? Go after all those dreams and passions! Don’t hold them inside anymore! No matter where you’re at, no matter what’s going on, you can make your dream life your real life. We are all destined for amazing things, we just never fully realize it or believe it. I know many that read this blog want to add value, want to help people get through difficult situations, have a passion to make this a better world. You deserve to be happy, you deserve an incredible life but it’s up to you to claim it and make it a reality. At the end of the day you have to take action on your passion, you have to chase those dreams before they can become a reality. Everywhere you look, you’re seeing stories about how New Years Resolutions don’t work. Yes, most people do give up but you don’t have to be most people. This is my development last year. 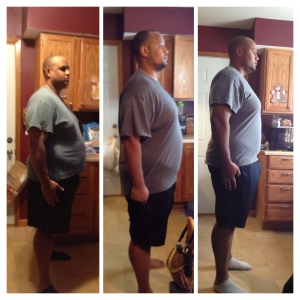 I set five main resolutions last year and in the end I lost 133 pounds, ran 658 miles, travelled to 6 countries to speak, became completely supported by my online business, and our family got one-way tickets for our Hawaii move. Was I going hard all year to hit these goals? NO! Did I quit, make excuses, fail? YES! The key is I got back up and kept pushing forward. So, if you set some resolutions/goals and fall down, get back up. Don’t listen to what others tell you what is right for you, don’t give them that power. Determine what YOU want to accomplish this year and go after it with everything you’ve got. If you fall down or get frustrated, lick your wounds, get back up and keep pushing forward. This is YOUR year! What are some big, hairy goals you’re setting this year? Amazing story! This is sort of post everyone should be reading when life isn’t going the way they want. I just checked out your website, signed up and watched that UTube video – Nice beach! You’re a genius to see a break thru out of a dull-drum. After I read your quote on Laozi: “To see things in the seed, that is genius.” This line is being researched for its place in Daode Jing for verification. So far failed. If you’d be so kind to reveal the Chapter where the quote is from, you do a great favor to me, by extension to others you’ve inspired. Myrko thanx for being a great mentor …..your every post is so inspiring…..thanx. You are a great inspiration! Thank you for reminding us not to settle and to reach for our dreams. @Myrko Thum: Thanks so much for having me, this is an honor! Kimanzi, you have an impressive story and a very encouraging message. Thanks for this inspiring guest-post!